Ferns float over delighted mom’s and children on another beautiful day in Burlingame California. 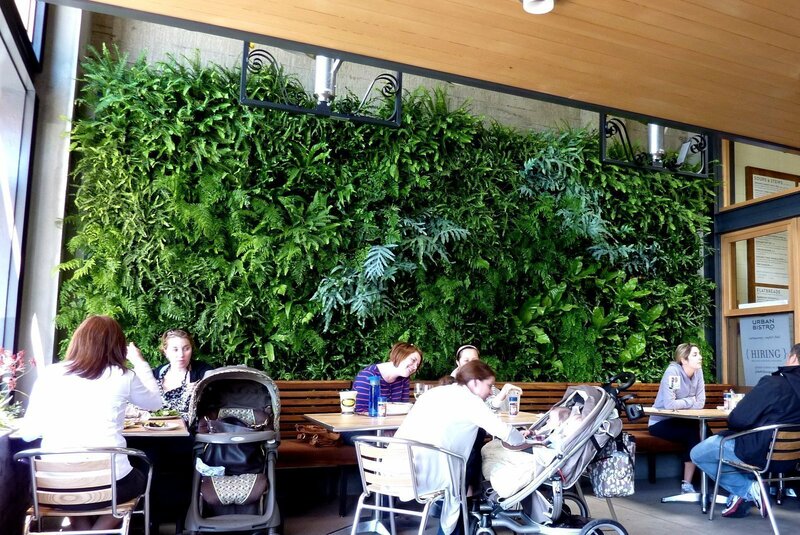 Urban Bistro’s open front patio features a 14 foot wide living wall 10′ above the floor. The vividly fresh ferns fill the space with natural delight. 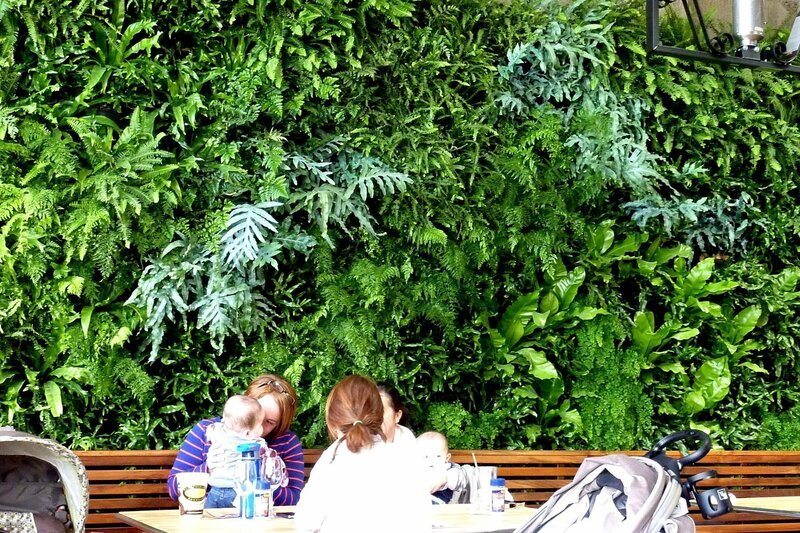 The living fern wall was installed by Chris Bribach from Plants On Walls. 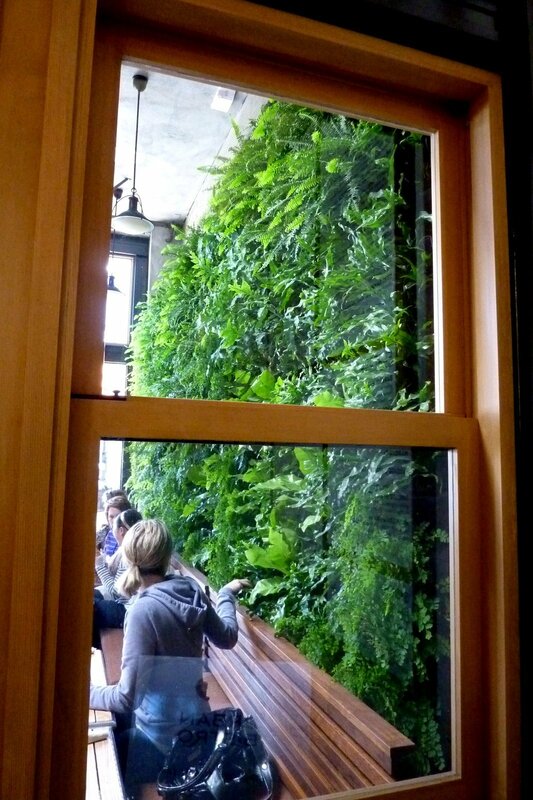 193 fully-grown Ferns were transplanted from 6″ pots into felt wraps then fit into the felt pocket panels that cover the wall. Water wicks through the felt from the top to the bottom so each plant gets its moisture and nutrients. Newly open for business, Urban Bistro is part of a larger chain from San Francisco called Soup Kitchen, a downtown popular lunch venue. Classy Burlingame now has an elegant Urban Bistro with excellent service and an incredibly tasty menu. Have a uniquely green experience with your salad.